Buy One Laser Tag Game or Laser Maze and Get One Free - All Day Every Monday at Laser Web Dayton! Every Monday is BOGO Monday at Laser Web Dayton! Buy One Laser Tag game or Laser Maze play at regular price and get one free! 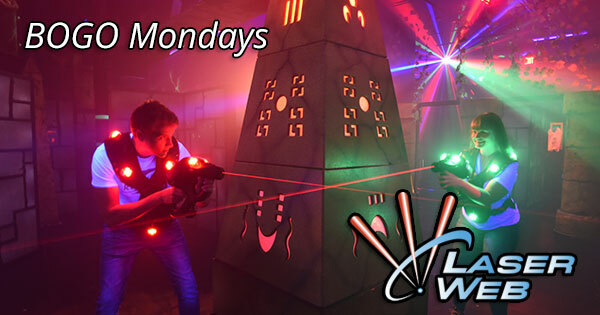 Find more events like "BOGO Mondays at Laser Web"
Laser Web is Dayton's Premier Laser Tag facility. Also, a Laser Maze, Virtual Reality, Arcade, and Snack Bar. Birthday parties, group events or just a great time for friends and family.